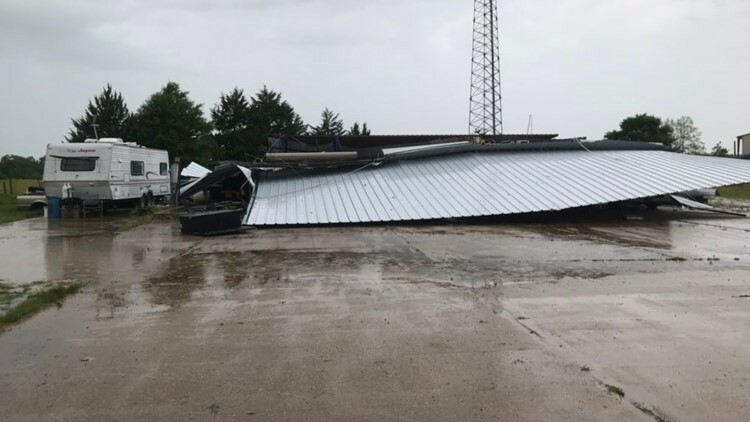 FRANKLIN, Texas — A rain-wrapped tornado struck the Central Texas community of Franklin today, damaging buildings throughout the community. Early reports from the Robertson County community of 1,600 were that rescuers and emergency responders were hampered by trees and power lines blocking roadways. Several homes were reported damaged. There was no immediate word concerning casualties in the small community. "A preliminary damage survey in Robertson County has found a tornado with peak intensity of EF-3 and winds of 140 MPH. The survey will continue over the next few days, with additional areas still needing to be assessed."